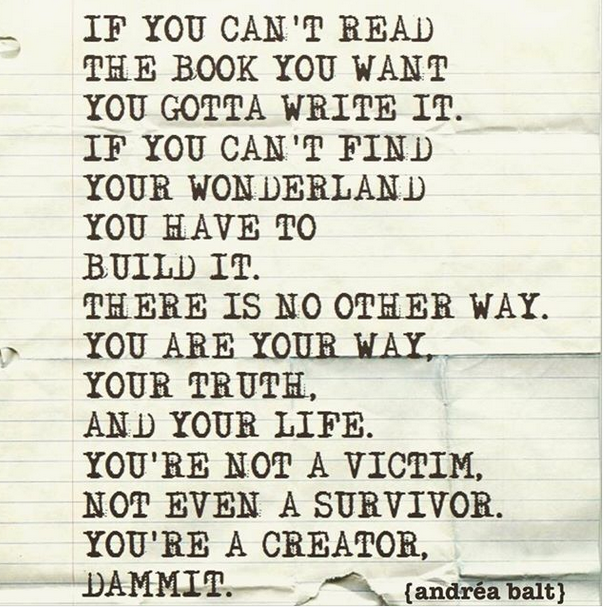 Thanks to Andrea Balt for saying it. Thanks to Elizabeth Gilbert for posting it on Facebook. Andrea is doing the work I aim to accomplish. And Elizabeth is doing the work I am determined to do. We all need inspiration – no matter what flavor it is. And there are so many flavors out there! Categories: Writing Therapy | Tags: Andrea Balt, Elizabeth Gilbert, Writing | Permalink.